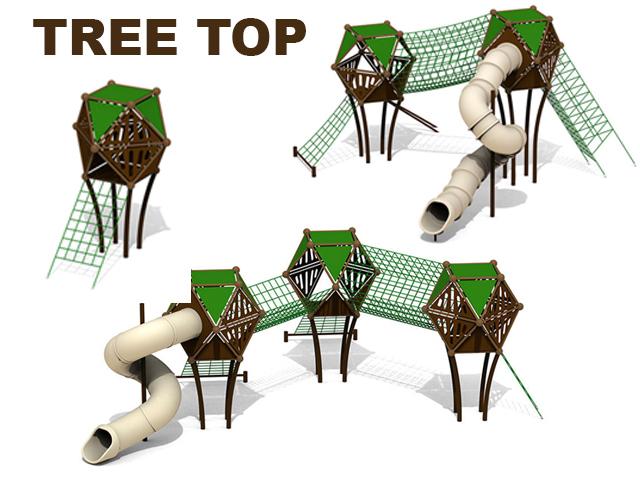 Kids will be able to climb to the sky with Imagination Play’s new Sky House range and Tree Top range. 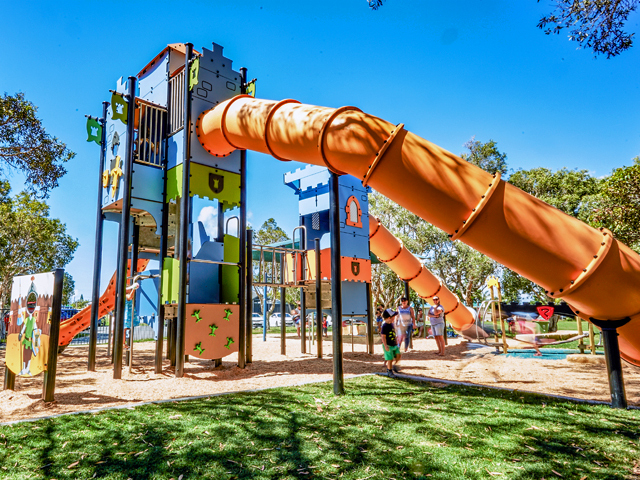 Utilising modular pods connected by rope nets, this play equipment will ignite the kid's imaginations in new and exciting ways. 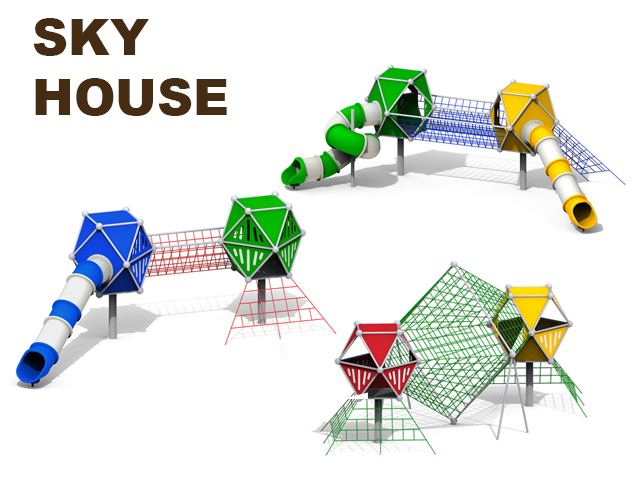 The Sky House range and Tree Top range from the highly successful Rope playground equipment series, consist of multiple pods that are connected by climbing nets and powdercoated strong support posts. 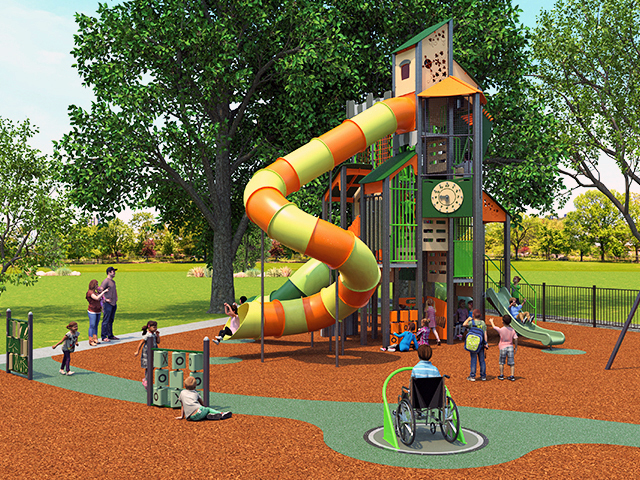 Imagination Play’s manufacturer has created a safe and long-lasting attractive cable for all varieties of playground structures. Using proprietary technology and an infusion of flame-retardant, woven Nylon Polyamide outer braid, with a Class 8 UV Colourfast rating, ensures the ropes look brand new for years after purchase. 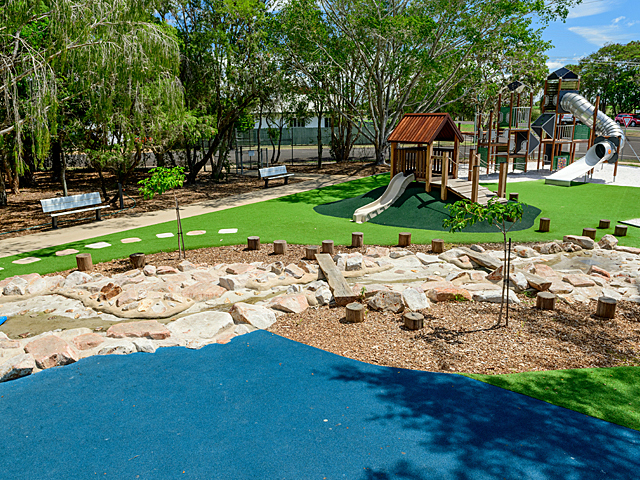 The design of the Sky House and Tree Top ranges create a modern themed playground, whisking the kids into another dimension. Children can roleplay for hours, pretending that they are in an exciting tree top village, like something from Star Wars. 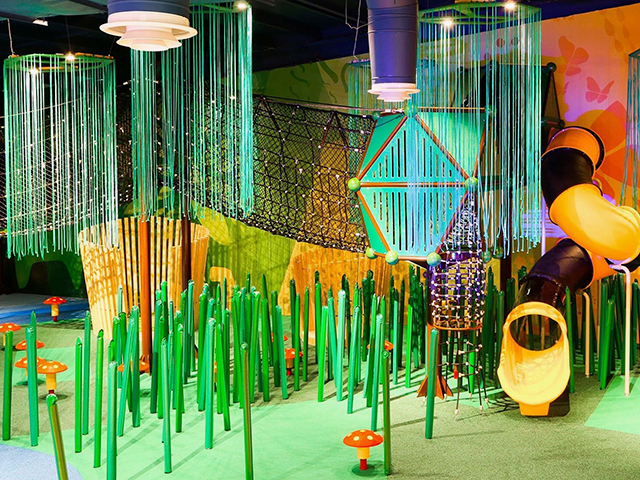 The Sky House and Tree Top will teach children critical problem solving and decision-making skills, while engaging in imaginative and creative play. 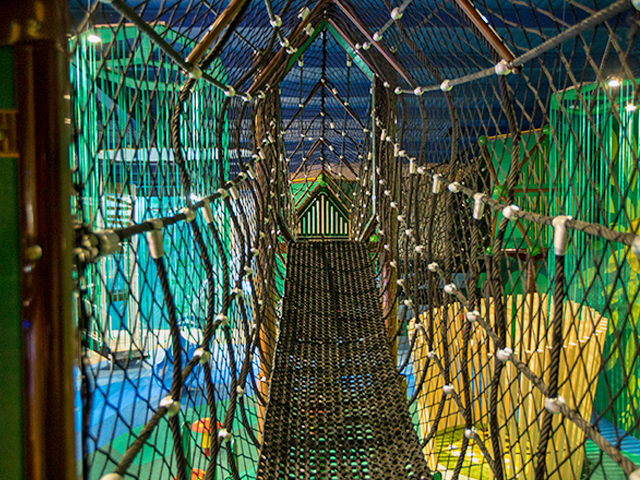 As the children clamber and climb, accelerating through the rope nets, they will confront and overcome their fears while growing their courage and strength of character. Younger children can start low and the more experienced older children can venture to the highest point to be the king or queen of the world. 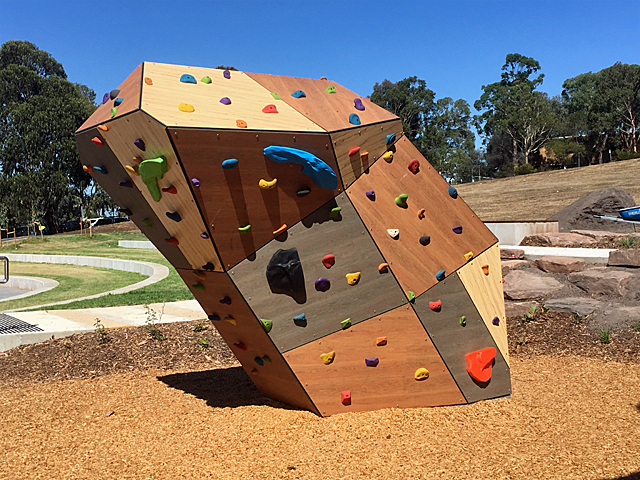 Climbing offers tons of fun for kids and encourages socialisation – a perfect activity for all children. The Sky House and Tree Top pods create a blank canvas for the kids to explore, while also creating a zone that allows the children to have their own connection with the surrounding space and environment that they are playing in. At the same time, they are refining their activity, communication, sharing and empathising skills, all of which are essential as they move through life. The Sky House range and Tree Top range are suitable for indoor or outdoor use. 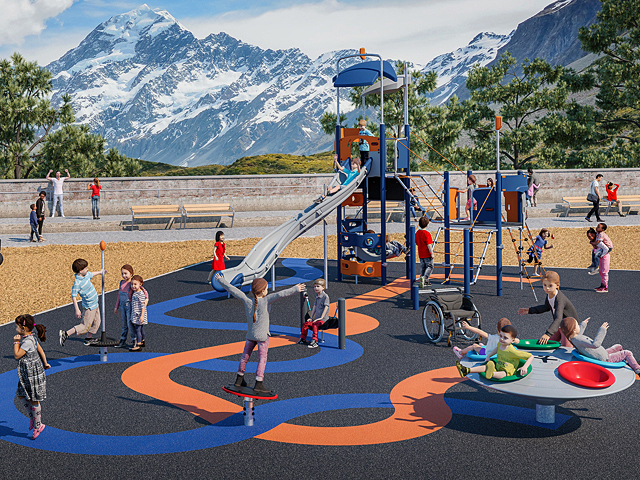 With multiple designs that allow for the creation of a compact unit to fit a shopping centre, or the ultimate large playspace for an outdoor park with multiple pods and large whirly slides. The sky is the limit with this range. 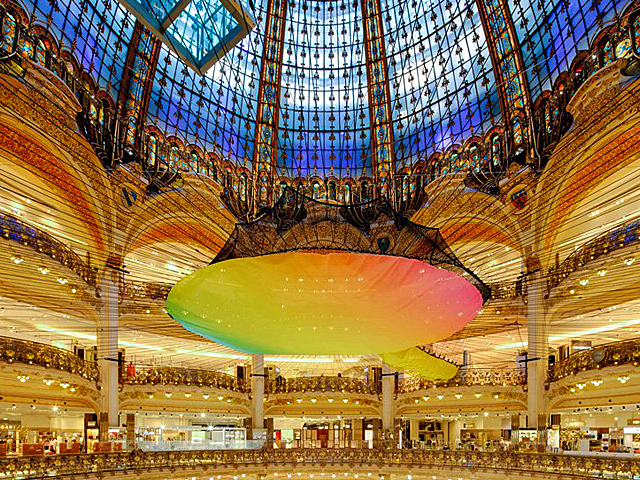 Imagination Play has the ability to serve its customer base with an inspiring creative rope play range that consists of over 90 standard structures. They also have the ability to work with designers and customers to offer a bespoke service that will help you bring your concept to life. Currently the range offers tower nets that span a huge 27 metres wide and 15 metres high, down to mini standalone units as small as seven metres wide and three metres high. Imagination Play can offer rope play equipment solutions for any playspace need. Contact the team at Imagination Play or visit the website via the links below to discuss your Sky House and Tree Top options today.